This is the category dedicated to the Emeritus Pope Benedict XVI., former Cardinal Joseph Aloisius Ratzinger, born on April 16, 1927. The last working day in office of Pope Benedict XVI. has begun. After nearly eight years, his pontificate ends today at 8:00 pm, the time of the Sede Vacante (“empty chair Petri”) begins. At 5:00 p.m., Benedict XVI boards the helicopter in the Vatican gardens, which will take him and the members of his household to the Papal summer residence in Castel Gandolfo. Before his departure to Castel Gandolfo the Pope will say good bye to all those Cardinalspresent in Rome. 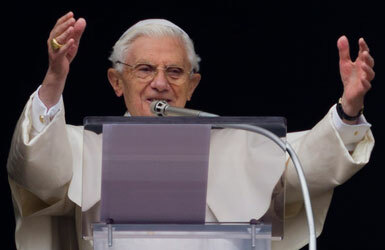 In Castel Gandolfo Benedict’s last public act will take place – a greeting to the faithful from the balcony of the palace. In March, the Cardinals will meet in the Conclave, to determine a successor to Benedict, who had surprisingly announced his resignation for the end of the month well two weeks ago. The city of Rome says goodbye with bells ringing for the German Pope. After Benedict XVI. left the Vatican around 5 p.m, a few hours before the official end of his term, to go to Castel Gandolfo via helicopter, all bells will be rung in the Rome diocese to bid farewell . 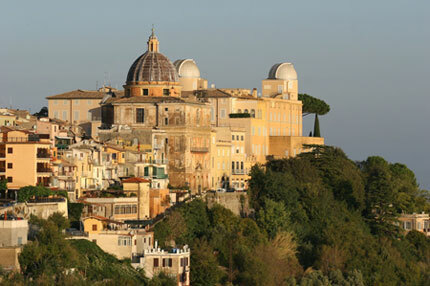 Then they will also ring upon his arrival in Castel Gandolfo, where the Pope will spend the next two months, reported the Bishop of Albano, Marcello Semeraro. 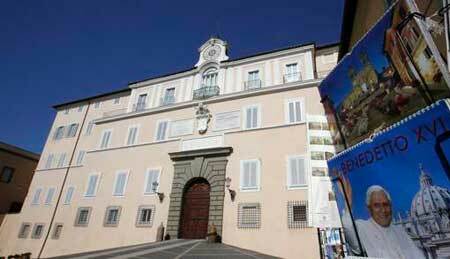 The private documents of the Pope are brought to Castel Gandolfo, the rest of the documents shall be kept in the Vatican archives. Pope Benedict XVI. gave his final General audience address in St. Peter’s Square at the Vatican on Wednesday, just a day before his voluntary resignation. I feel I ought to carry everyone in prayer, in a present that is God’s, where I recall every meeting, every voyage, every pastoral visit. I gather everyone and every thing in prayerful recollection, in order to entrust them to the Lord: in order that we might have full knowledge of His will, with every wisdom and spiritual understanding, and in order that we might comport ourselves in a manner that is worthy of Him, of His, bearing fruit in every good work (cf. Col 1:9-10). Pope Benedict XVI. said good bye to the faithful in Rome: he held his last general audience in front of 250,000 pilgrims and tourists. The Pope promised to all who came and watched via TV, that he will remain in service for the Church. “The Lord gave us days of sun and of light breeze, days in which the fishing was good. There were also moments when there were stormy waters and headwinds,” the pope said. “But I always knew that God was in that boat and I always knew that the boat of the Church is not mine, is not ours, but is his and he will not let it sink,” the leader of the world’s 1.2 billion Catholics told the cheering crowd. Benedict XVI. said he had taken the decision of his official resignation after deep consideration, after he had felt that he no longer had the strength to fulfill the ministry. He made this decision for the good of the Church. The Pope thanked the faithful who had received his resignation with respect and understanding. Benedict XVI also asked for prayers for the Church and for his successor. “Often we speak of a demise of the Church, but she proves that she is alive,” assured the Pope. Several times, his words were interrupted by applause of the crowd. The Vatican spokesman, Federico Lombardi, said on Tuesday, that Benedict will be called “His Holiness Benedict XVI., Emeritus Pope”. The pope’s title and what he would wear have been a major source of speculation ever since Benedict stunned the world and announced he would resign on Thursday, the first pontiff to do so in 600 years. 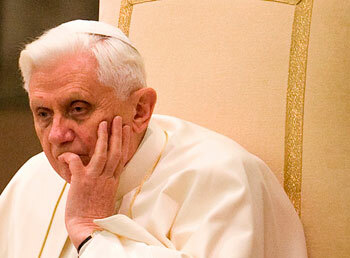 After his resignation on Thursday, Benedict XVI. is to be called “Emeritus Pope” (Papa emerito) or “Roman Pontiff Emeritus” (Romano Pontefice emerito). But one may also address Joseph Ratzinger with the title “Your Holiness”, Lombardi added. As on how the outgoing Pope should be addressed in the future, had been discussed over and over again. “Emeritus Bishop of Rome” was a hot favourite. 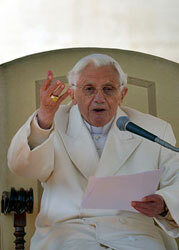 Lombardi also said, the 85 Ratzinger will wear a “simple white cassock” after February 28. While he will no longer wear his trademark red shoes, Benedict has taken a liking to a pair of hand-crafted brown loafers made for him by artisans in Leon, Mexico, and given to him during his 2012 visit. However it remains open, even after the question of the title is apparently resolved, what role the “Emeritus Pope” will play regarding his successor and the Vatican. Ongoing speculations about a secret dossier on the so-called “Vatileaks” affair. Benedict XVI. received those three Cardinals that had presented him the report in December. On Monday, Benedict XVI. received the three Cardinals in charge of the investigation regarding the “Vatileaks” affair. It was four days before the end of his pontificate, that Benedict had held talks with the retired cardinals Julian Herranz, Jozef Tomko and Salvatore De Giorgi, according to sources from the Vatican. The three Cardinals had presented their second secret report to the Pope on December 17. This, so the view of the Italian media, had been the decisive factor for Benedict’s the resignation. 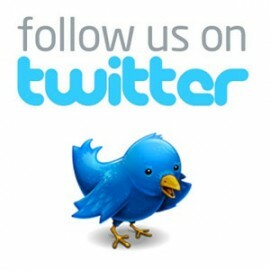 The mandate of the Cardinal’s Commission ended last year, the Vatican spokesman said. The Pope thanked the Cardinals for their investigations. “In fact, their work made it possible to detect, given the limitations and imperfections of the human component of each institution, the generosity, honesty and dedication of those who work in the Holy See at the service of the mission entrusted by Christ to the Roman Pontiff.”, it said in a press release. 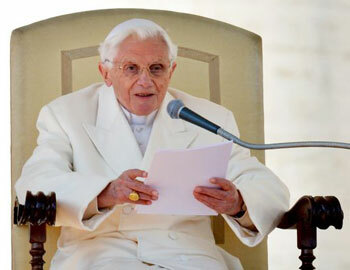 Pope Benedict XVI has issued a decree today which allows to bringing forward the Conclave to determine his successor. According to the rules of 1996, the conclave had actually to begin between March 15 and 20. With this Decree (motu proprio), the Pope grants the Cardinals to bring forward the start of the conclave, as soon as all papal electors have arrived in Rome, said Vatican spokesman Father Federico Lombardi. Recently there had been speculations over an earlier meeting of the Conclave, after several cardinals had apparently voted for it. The bringing forward of the Conclave, to the first half of March, will allow Benedict’s successor to better prepare for the Holy Week starting on March 24, and Easter which is on on March 31. There had been speculations in Rome now for days about a conclave beginning on the 10th or 11th of March. 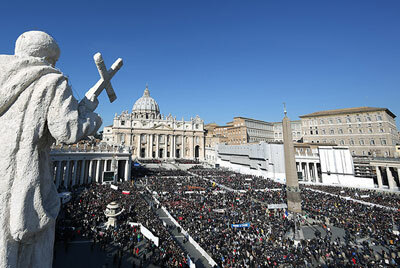 The date of the beginning of the Conclave is expected to be announced by end of Benedict’s pontificate. Benedict XVI. announced his resignation for the upcoming Thursday – February 28. The rules which had been defined by Benedict’s predecessor John Paul II. in the Apostolic Constitution “Universi Dominici Gregis” in 1996, provided that the conclave has to start between 15 and 20 days after the Holy See has become vacant. The timeframe should allow the Cardinals from around the world to go to Rome. This time however, numerous Cardinals have already gathered in the Vatican to bid farewell to Benedict. Lombardi had recently declared, the rules for the meeting of the conclave were designed for the case that a pope dies. With the resignation of Benedict XVI., the situation is different, and “it is possible to interpret the rules differently”. It is crucial that all Cardinals are gathered, and with the resignation announcement they had more time to do so. The 117 Cardinals eligible to vote, which may not be older than 80 years, will hold their Conclave in secret sessions in the Sistine Chapel. According to current knowledge, two eligible Cardinals will not participate in any way in the election – Cardinal Julius Riyadi Darmaatmadja from Indonesia and the retired Scottish Cardinal O’Brien.